WeSawIT February 17, 2013 Comments Off on JORDAN TURNS 50!!! As we celebrate Michael Jordan’s 50th birthday, he remains one of the all-time greatest basketball players or shall we say athletes. Jordan’s impact on athlete marketing remains strong as the Jordan brand controlled 58% of the U.S. basketball shoe market in 2012, according to research firm SportsOneSource. Children, who never had the good fortune to see him play, know the name Jordan and still flock to the stores to buy his brand. Jordan holds un-matched stats such as 10-time scoring champ, 5 MVP’s, 6 NBA championships, 14-time All-Star, 3 All-Star MVP, 2 Olympic gold medals…just to name a few. 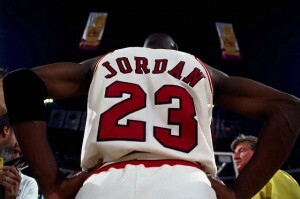 Ten years after his last NBA game, Jordan out-earns almost every member of the world’s highest-paid athletes. While all continue to search for the ‘next Jordan’, no-one has come close to filling those size-13 shoes. 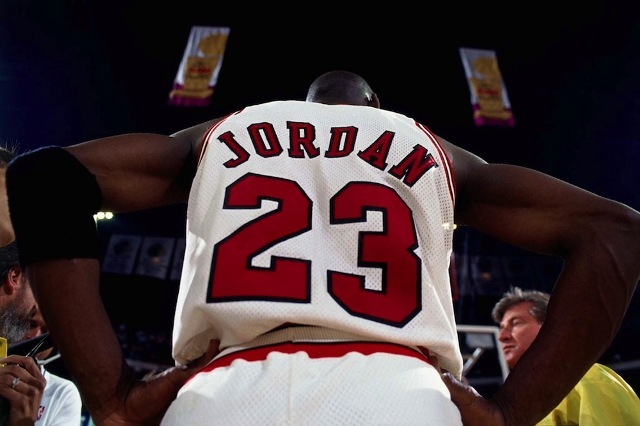 Celebrating the first half-century…Happy Birthday Michael Jordan!